Luton Town first team coach Joaquin Gomez felt it was a case job done for the Hatters’ development squad in their 1-0 win at Barnet U23s on Tuesday afternoon. Midfielder Jordan Cook scored the only goal of the game on 39 minutes, following up a rebound in the area to find the net. It wasn’t as pretty as some the other games, but we were very competitive after the first 10 minutes. Speaking to the club’s official website, Gomez said: “It wasn’t a great game in all honesty. The pitch wasn’t great, but you have to deal with it and get on with it. “They had quite a young squad out and with the circumstances they have around the place at the moment with the new manager, they were really up for it and started really well. “It took us by surprise for the first 10 minutes or so, and we didn’t start that well. “But as the first half went on, we dominated the game and were solid. “It wasn’t as pretty as some the other games, but we were very competitive after the first 10 minutes. “The goal was second phase from a corner. The ball fell to Macca on the edge of the box, he had a shot and from the rebound Cookie tucked it in. 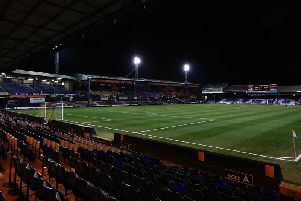 The game saw the return of Alan McCormack from a minor hernia operation, as the ex-Brentford player played for an hour, while there was game time for Lawson D’Ath, James Justin and Aaron Jarvis, along with trialist Jonathan Douglas as well. Gomez continued: “What we wanted from the game was to make it as competitive as a Tuesday training session for us, and the boys always give us that. “Players like Macca, Lawson, Jarvo and Cookie – lads who haven’t had many minutes recently, whether coming back from injury or haven’t been in the team – all need to get up to speed for when they are called upon.